Known as the Empire State, New York was entered into the union in 1788 as the 11th state in the United States. Located in the Mid-Atlantic and Northeastern region, New York is home to the most populated US city in New York City. Ranked 27th in the country in area, New York is ranked 3rd in population with over 19.5 million residents. 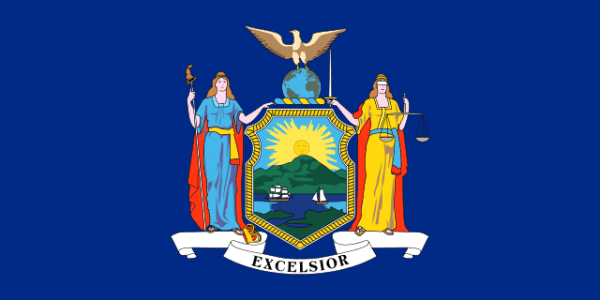 Despite having over 8.4 million people in NYC and being the largest metro area, Albany is the capital of New York State. New York City is an important part of not only the state or country but the world. Known as the cultural and financial capital of the world, New York City has historical ties to the legal immigration wave in the first half of the 20th century. About 60% of the population is outside of the New York City metro area in popular cities like Albany, Buffalo, Syracuse, and Rochester. Locate the scrap yards in New York and you can report scrap prices you received at your yard. If you visit a scrap yard in NY you can find it on the iScrap App and post prices you were given for your metals. This is helpful to keep track of the scrap metal market and price conditions. The economy throughout New York State is very diverse with different industries contributing to the community. Some of the industries in the state area agriculture, electric equipment, tourism, finances, fashion and manufacturing. The economy of New York state would rank it 18th overall in the world if it was independent. The scrap metal industry has a direct impact on the different industries especially with the several ports and access points throughout the state for exports. Home to many different scrap yards and auto wreckers throughout the state, New York scrap yards can be found in different areas like Brooklyn, the Bronx, Manhattan, Long Island, Buffalo, and Syracuse. Use the iScrap App to find and locate scrap yards in NY or you can search through the above map for your location. Be sure to contact the local scrap yards for current scrap prices, container services for pickups, auto parts for repairs, and request for scrap car pickups. The New York State Association for Reduction, Reuse, & Recycling, Inc. (NYSAR3) is a great resource for you to get more information about sustainability in the state and for members to continue to increase the recycling efforts in New York. Be sure to collect your copper, steel, iron, aluminum, and other materials before heading to the scrap yard.